AfricaOn wishes to thank all the companies and associations who have partnered in carrying out and developing the projects the association is engaged in in Mozambique, Tanzania and the Ivory Coast. To further your knowledge of the projects financed by every single company and association we invite you to go to the project section, where you will find all the details concerning the various projects. If you wish to participate in and contribute through your company or association we invite you to contact us in order to evaluate where your contribution can make a difference. 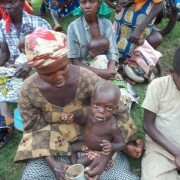 Every year thousands of children die from lack of water or from waterborne diseases. 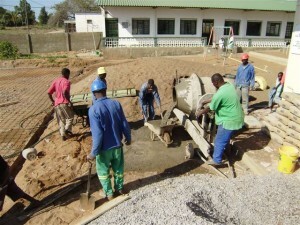 With 3,000 euros we can dig a well, train technicians to oversee it and provide adequate hygiene/sanitation training. A water purification kit for a community costs approximately 1,000 euros. Education is the first step to enable a community to go from a purely humanitarian action to consciously determining their own future. Education prevents a high percentage of diseases. Knowing a foreign language offers important development opportunities. Approximately 7,000 euros are needed to build a school room. Educational material for an entire year costs 15 euros per child. 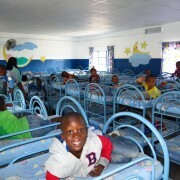 We assist facilities in Africa which house orphans or abandoned children, some of which are HIV-positive. 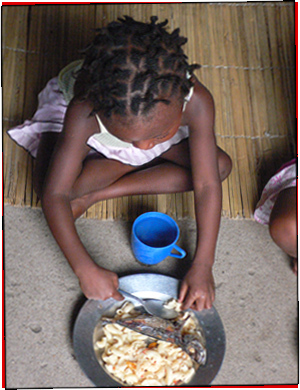 Guaranteeing a proper diet, health care and education for an orphan costs approximately 300 euros a year. 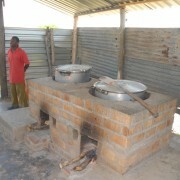 Setting up an inexpensive kitchen to provide hot meals to one hundred children costs approximately 600 euros. 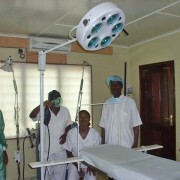 Training personnel and setting up a small decentralized health care facility to aid the community and the children without having to travel long distances, thus guaranteeing a fast response, costs approximately 12,000 euros. The company supports AfricaOn by placing its mark next to the brand name or on a certain product. This distinguishes the product and the company itself and, as is evidenced by surveys, supporting a just cause often constitutes a preferential aspect in the choice of the final product consumer. Supporting an event, a publication, an exhibition of AfricaOn, or organizing one and giving the proceeds to the association, is an opportunity for the company to make itself known in an entirely new context and strengthening its socially aware image in new markets. Depending on the type of business, the company offers consultation, materials and supplying services to Africa ON thus becoming, for all intents and purposes, an operative partner and a permanent reference point of the association. 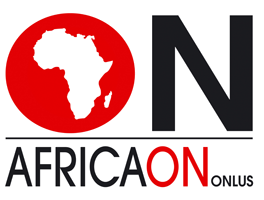 The company, through the association, promotes the activities of AfricaOn amongst its employees, who may choose to donate a monthly amount to the association. This amount, even just a few euros, is deducted every month from the pay slip. The company commits to doing the same. This partnership increases team spirit and company fondness values, enabling AfricaOn to constantly channel funds for various projects. By allocating part of your product sales proceeds, including us in your website, introducing us to your clients or, in accordance with Italian Presidential Decree 430/2001, choosing our association as the recipient of unclaimed awards of contests organized by your company. 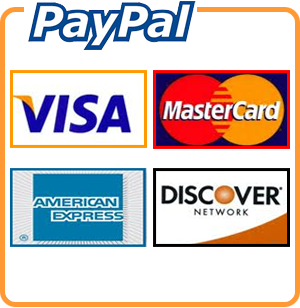 Purchase of solidary Christmas cards. Donating the amount set aside for Christmas gifts to AfricaON. Giving the largest clients one of the association’s projects as a gift. We also wish to remind you that any donations that companies give to NPO, such as Africa ON, in accordance with article 14 of Law Decree 35 of 14/03/05 passed into Law n. 80 of 14/05/05, are admitted as a deduction of the company’s total income up to a maximum of 10% of the declared income and, in any case, not exceeding 70,000.00 euros per annum. Or (article 100, comma 2 letter h Italian Presidential Decree 917/86) companies may deduct the donations for an amount not exceeding 2,065.83 euros or 2% of the company’s declared income. All the companies who support our projects will be included in this page and in the part relating to the project they have financed. Our website is accessed by over 2,000 users per month.